The Children’s Python shelters in burrows and crevices. They are named Childrens Python after the zoologist John George Children, who as the curator at the British Museum discovered them. 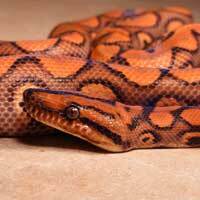 This snakes temperament is non aggressive, and it is a non venomous species of python. This species of python is the second to the smallest python, with the Anthill Python being slightly shorter. 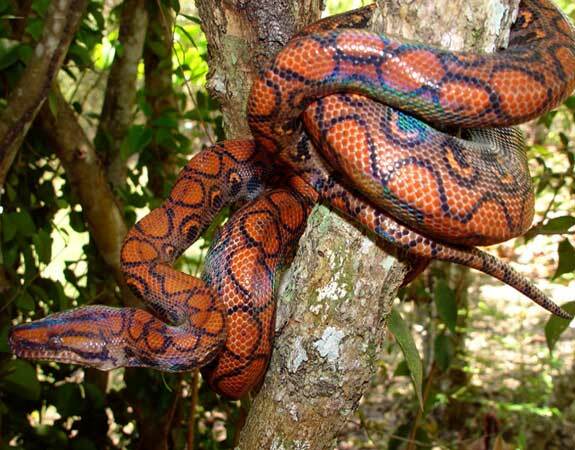 Childrens python, and because of its size, it is part of the Tiny pythons. It is also known as the Faded Python. Although known to reach three feet in length, they average two to two and a half feet. Their pattern of spots fades as they grow into adulthood. A very well cared for specimen will achieve thirty years of age, but the average age is twenty-five years. Hatchlings measure in the twenty three centimeter range, while adult males grow to about sixty nine centimeters. Females grow to about seventy two centimeters. Commonly found in Northern Australia, from the Kimberley Plateau in the western part of Australia across to the Northern Territory, all the way to North Eastern Queensland. It is also found on a number of offshore islands. While out in the wild, this python species feed on small mammals as adults, while as juveniles, they eat young amphibians, such as frogs, and lizards. Being nocturnal, they are placid and relatively easy to handle. The hatch-lings to this python are tiny, featuring a pattern of darkly colored brown blotches, on a lightly colored brown background. Once matured to about six to seven years, these patterns fade. Due to their adaptability, they thrive in captivity. Captive husbandry is very much alike to that practiced on the Spotted Python. Feeding them as pets consists of a diet of thawed or frozen mice. The most suitable enclosure is terrarium that is climate controlled.